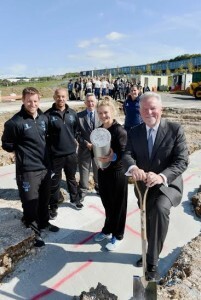 Work is under way on building a new £1.8 million state of the art cricket centre on the edge of Brighton and Hove. Sussex fast bowlers Tymal Mills and James Anyon joined students, staff and members of the community to mark the start of construction. The cricket centre is in the grounds of the Brighton Aldridge Community Academy (BACA) in Falmer. It will be home to the Aldridge Cricket Academy (ACA) – a partnership between BACA, the Portslade Aldridge Community Academy (PACA) and the Sussex Cricket Board, supported by Sussex County Cricket Club. The start of building work was marked with the burial of a time capsule containing ACA memorabilia and memories of growing up in the local area collected from members of the community. The memories were collected in the spring by BACA’s year 7 oral historians in partnership with The Keep as part of their “History on your Doorstep” project. The cricket academy enables sixth form students to study for academic qualifications alongside professional cricket development. The new centre will provide students with dedicated training and playing facilities, promoting sporting excellence, enabling local students to develop cricketing talent and helping them to maintain fitness. It will also be used by local primary schools and the indoor school will be a base for Sussex Women’s and Girl’s cricket. Portslade Cricket Club will also use the centre as its first and second team pitch and it will become the home for cricket in Falmer and the local community. Sussex County Cricket Club chairman Jim May said: “I’m absolutely delighted by the progress of the Aldridge Cricket Academy and that the development of this cricket centre in Falmer is now under way. “Sussex have been keen to be involved right from the start. There are a few students here who are close to being involved in the top programmes in the Sussex ranks and hopefully that will only improve. 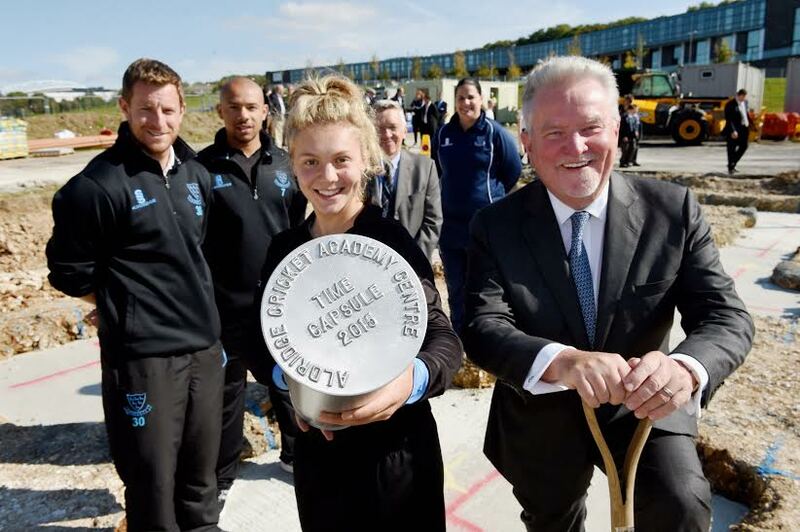 Sir Rod Aldridge said: “This facility will be a wonderful asset for BACA and PACA and for the development of young cricketers in Sussex as a whole. “The Aldridge Cricket Academy is all about giving local students, both boys and girls, the same kinds of opportunities that students in fee-paying schools generally have but which are rare for players attending state schools. “It was still the case at the end of this summer that the majority players in the England test team have gone through independent schools to get there. BACA principal Dylan Davies said: “The cricket centre is a wonderful new addition to our state of the art sports facilities. 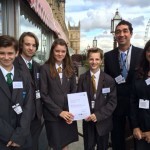 “Our specialism in sport is used to raise standards both on and off the playing fields. “The cricket centre will help improve students’ health and wellbeing, develop sporting abilities and enable students to excel at a high level of sport. “Through participating in our sports academies, students develop skills of teamwork, determination and passion which are necessary for success in the 21st century.